We had some unseasonably warm weather last week. Who knew the temperature could get into the mid 70’s in early November! It was great weather for raking leaves and playing in the yard. 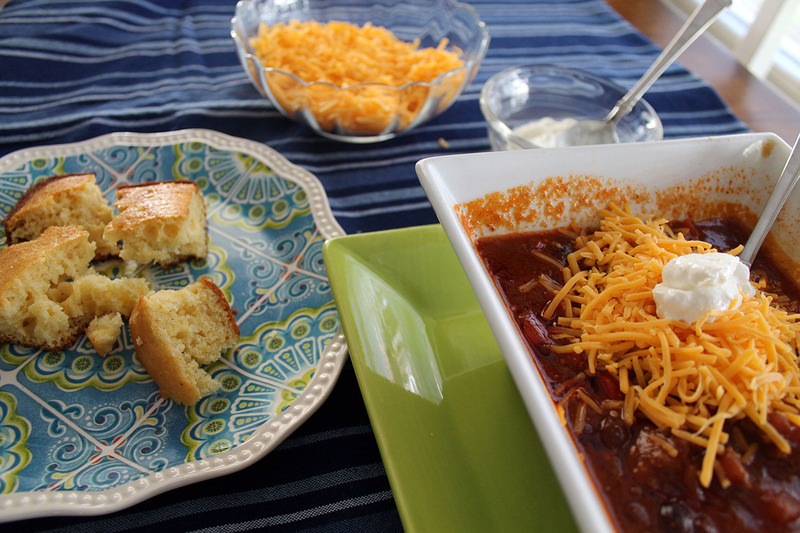 Well, it only lasted a few days…and now we are back to cooler temperatures; and in my opinion, it is perfect chili weather! 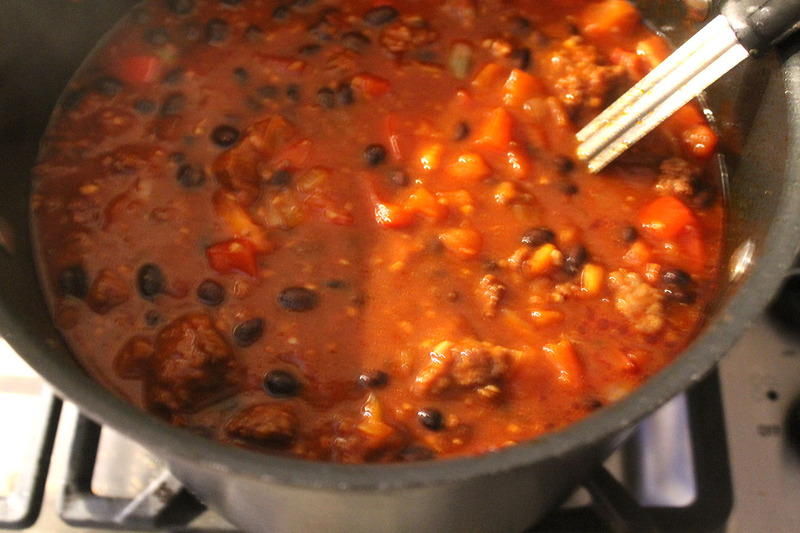 My favorite chili recipe combines three different meats, lots of spices, tomatoes, peppers, and black beans. Can you say flavorful?!? It is quite the hit in our house, well except with my vegetarian daughter (I’ll share my vegetarian chili recipe another time). Heat the olive oil in a large pot over medium-high heat. 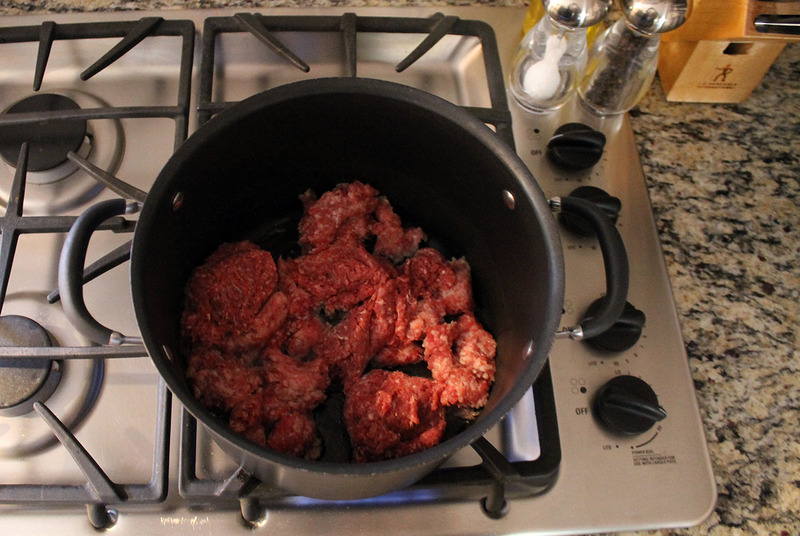 Add the ground pork and ground beef, and saute until brown. 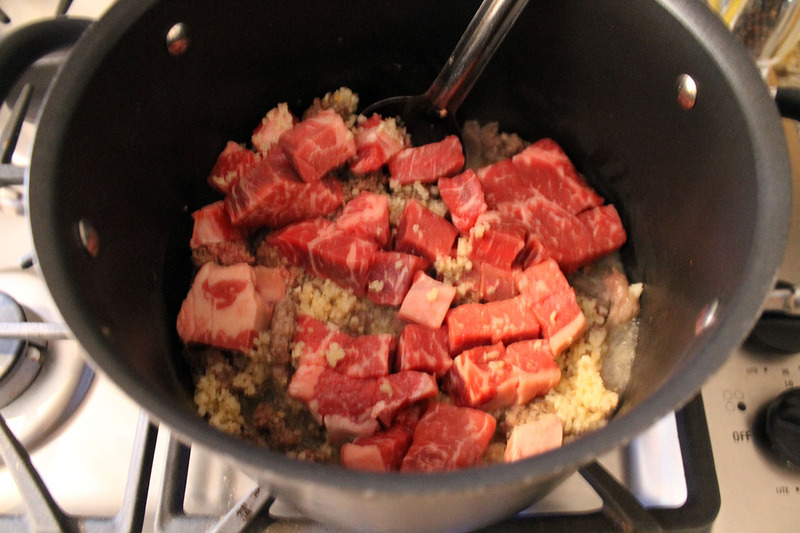 Add the cubed beef and garlic, and saute. Add 2 cups of beef broth and bring to a boil. 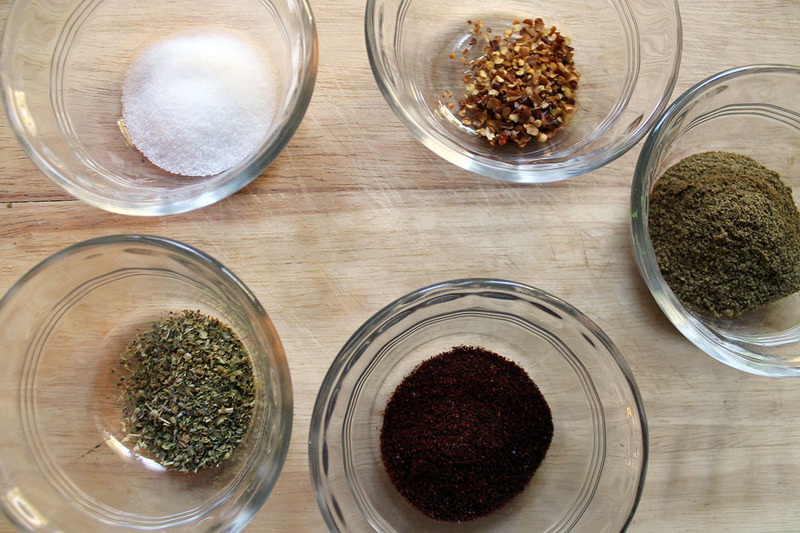 Add the cumin, chili powder, oregano, salt, and cayenne pepper. Reduce the heat, cover, and simmer for 10 minutes. Add tomato paste and sugar, simmer 5 more minutes. 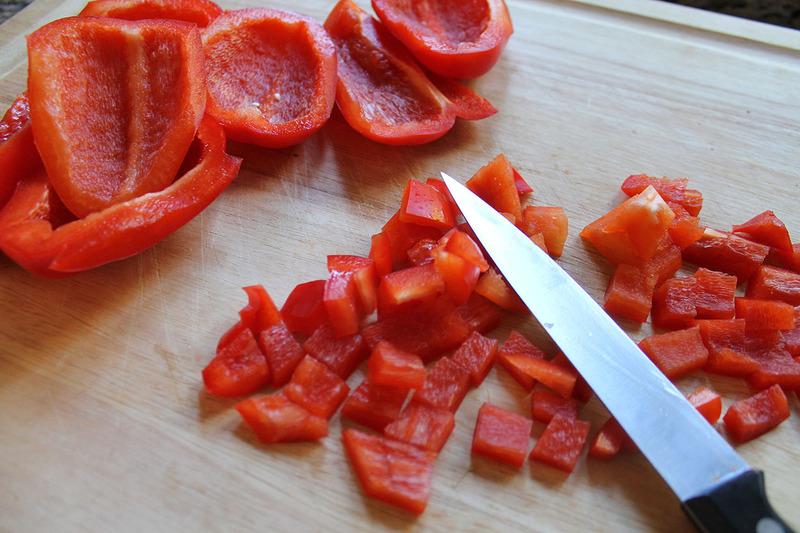 Add tomatoes, onions, and peppers. Simmer until the vegetables are tender, about 30 minutes. 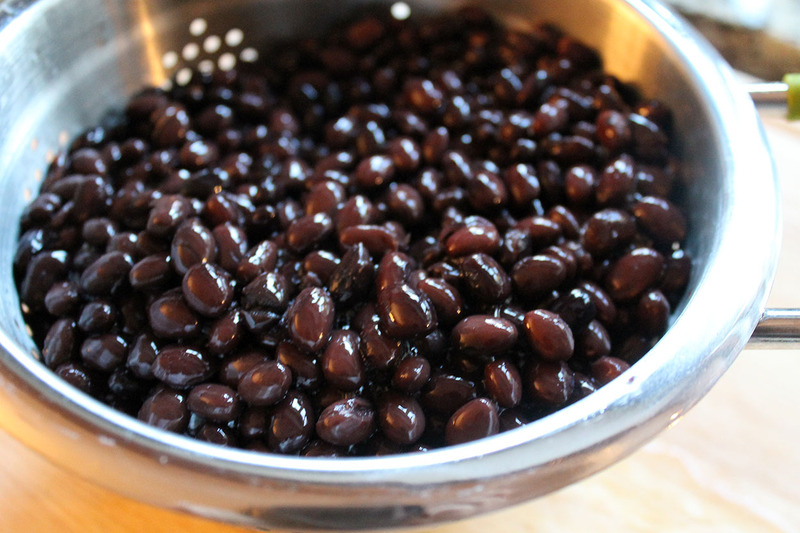 Add the black beans to the chili. Add more beef broth, 1/2 cup at a time until thinned to the desired consistency. 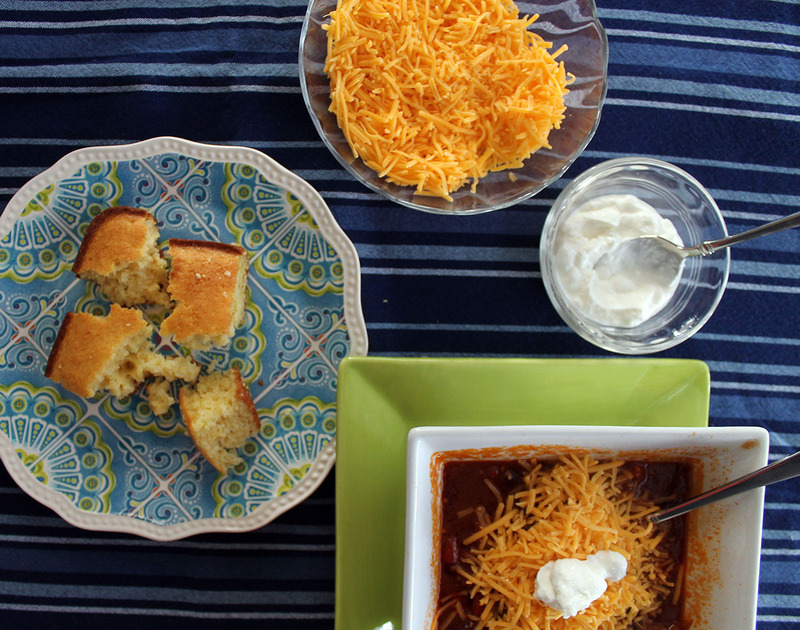 Bring chili to a simmer. 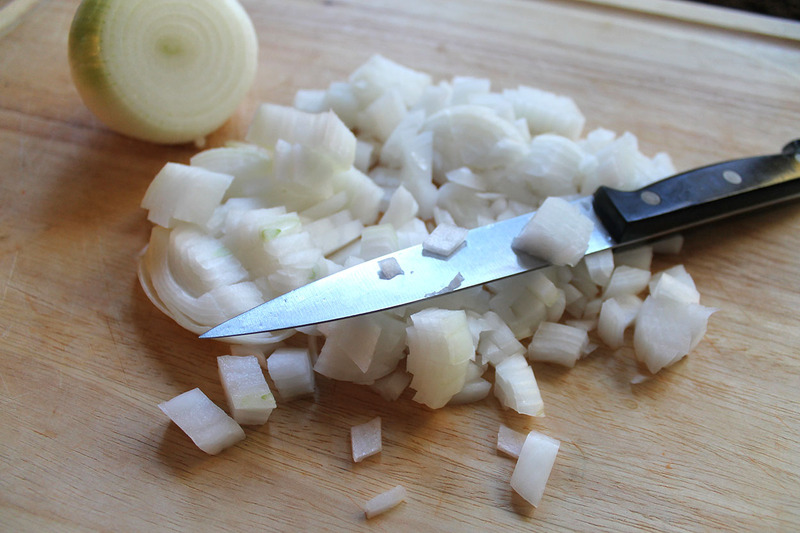 Serve with grated cheddar cheese, chopped onion, and sour cream. I recommend some corn bread on the side, too! 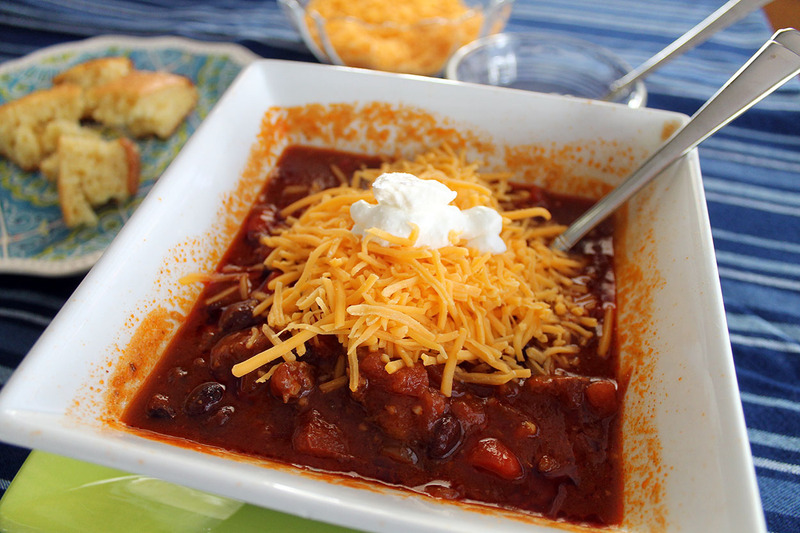 I might add that this chili is even better the next day, and it makes SO much that you will surely have leftovers! Just add more beef broth and reheat. Oh, and enjoy! Oh I love a new chili recipe! Thanks Beth, it looks delicious! 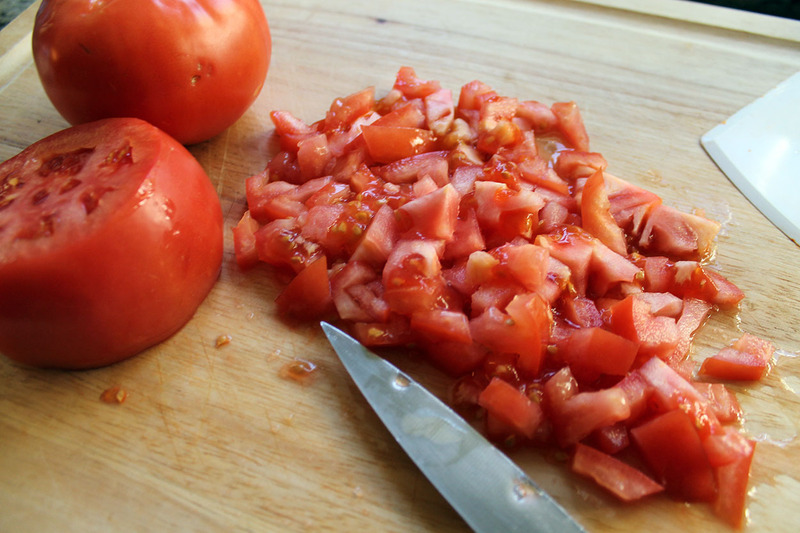 You will be in the kitchen for a while chopping and simmering, but it is SO worth it!